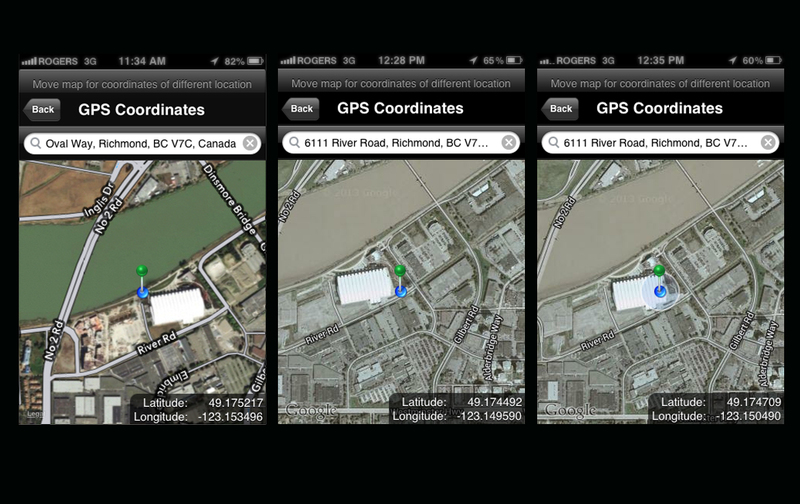 A walk along the Fraser river – screenshots from iPhone showing captures of potential gps coordinates being plotted. The app is an interactive walking tour that takes place on the Fraser river. As you approach a hotspot, content will appear on the screen.